Golden Banner blooming in Chautauqua Meadow is a sure sign that spring has arrived in Colorado. 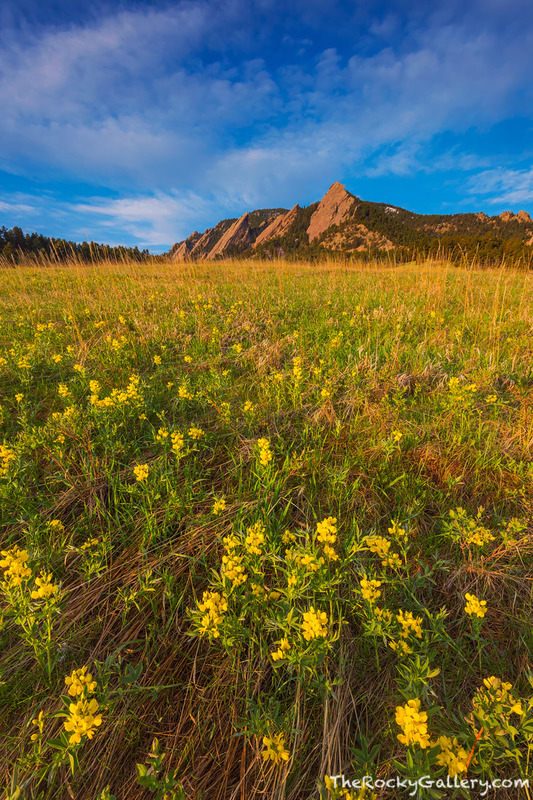 Chautauqua Meadow will play host to different wildflower displays as spring morphs into summer but the Golden Banner is often the first wildflower to bloom below the Flatirons of Boulder. Photo © copyright by Thomas Mangan.